A quotable reference for anyone interested in learning the ins and outs of business or starting their own. More than one million people in the United States take the necessary steps to enroll in master’s of business programs every single year. These students learn the fundamentals required to eventually start their own businesses, carry on family businesses, or become CEOs of other people’s businesses. 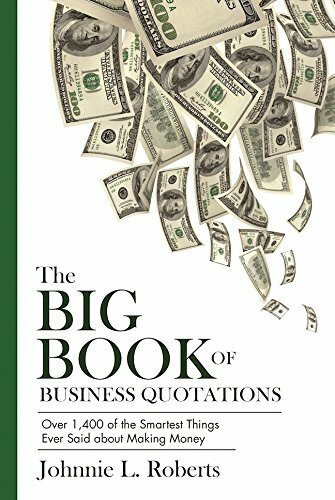 The Big Book of Business Quotations, compiled and edited by journalist Johnnie Roberts, features advice, ideas, strategies, and secrets that helped make some of the most successful businesspeople in the world rich, famous, or both. These quotes will inspire and motivate any current or aspiring businessperson to achieve success. If you have any questions about this product by Skyhorse Publishing, contact us by completing and submitting the form below. If you are looking for a specif part number, please include it with your message.